New Castle County – A joint investigation between the Delaware State Police, New Castle County Police, and the City of Newport Police has resulted in the arrest of three men responsible for a string of armed robberies that took place during the first two weeks in August, according to Public Information Officer, Master Corporal Michael Austin. Austin said between Thursday, August 2 and Thursday, August 16, 2018, the three agencies independently investigated a total of nine robberies, seven of which occurred at convenience stores located throughout New Castle County to include Wilmington, Newark, New Castle, Newport, and Hockessin. In addition to the convenience stores, the Delaware State Police also investigated robberies at a Prices Corner area bank and liquor store. Due to the prompt sharing of intelligence information between the three agencies, investigators were able to determine that the same group of three subjects was involved in the robberies, according to Austin. Further investigative measures led to the positive identification of 19-year-old Tyree Miller, 21-year-old D’Andre Whittle, and 26-year-old Fabian Evans, all of Wilmington, as the subjects responsible for committing the robberies. All three subjects were able to be linked to all nine robberies except for the liquor store incident in which Evans was not involved, said Austin. All three subjects were taken into custody without incident on the below dates and charged with the following offenses. 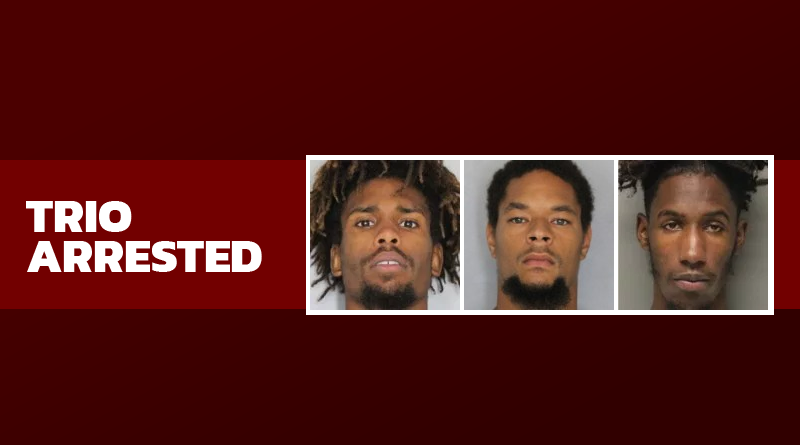 All three were subsequently committed to the Howard R. Young Correctional Institution on cash bail.